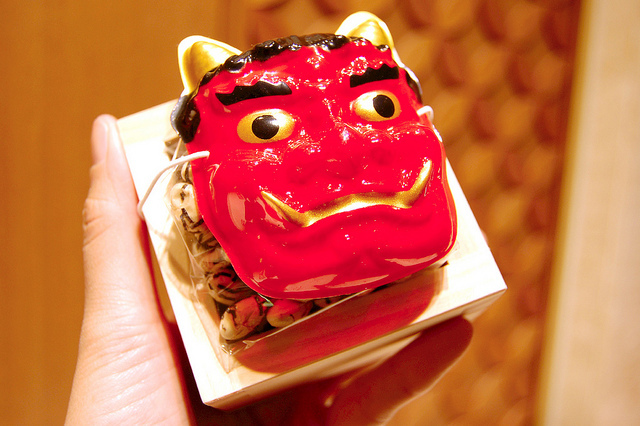 This Sunday in Japan, beans will be thrown, demons will be chased, and lucky food will be eaten to welcome Spring, as is done every February 3rd on Setsubun. In the Chicago area, Mitsuwa in Arlington Heights has Setsubun beans and masks on sale. After I visited the earthquake and tsunami ravaged Tohoku area last year, I made it back to Tokyo in time to join the festival at the historic Zojoji temple, founded in 1393 and relocated its present site in 1598. 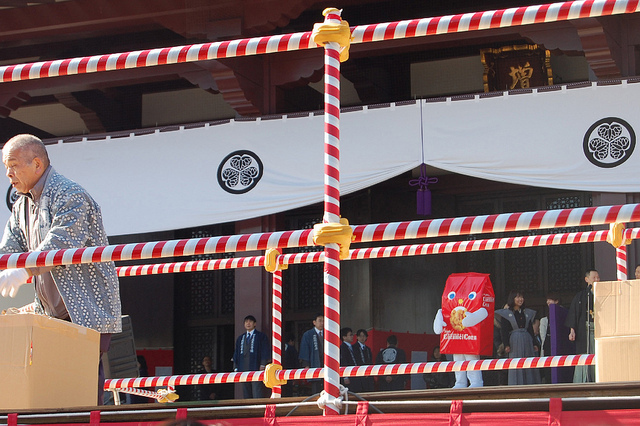 I expected a somewhat solemn ceremony where honored guests would throw roasted soybeans at masked oni (demons) to drive away bad luck. 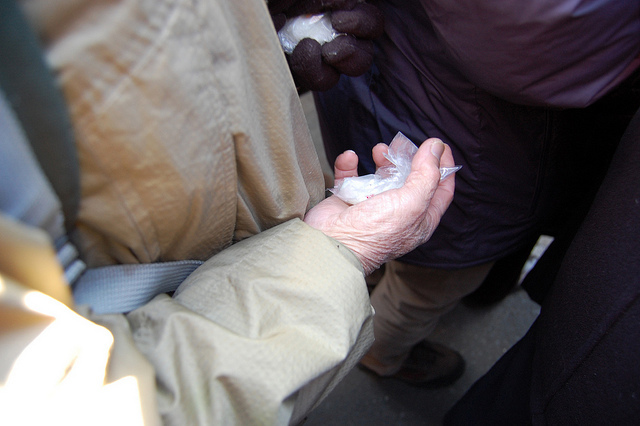 Meanwhile, the crowd would try to catch wrapped packets of beans, or better yet mochi, to eat for good luck in the year to come. Little did I know that the all-Japanese crowd, filled with more than a few very elderly men and women, would turn into a eerily quiet, gently swaying mosh pit. 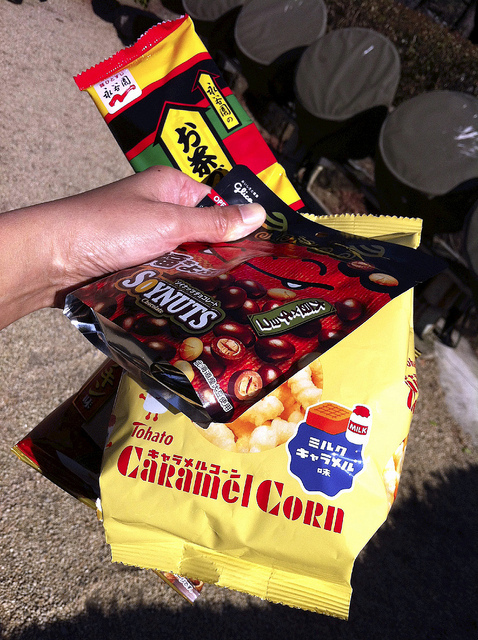 Out came the traditional beans and mochi, but so did a Tohato Caramel Corn mascot who threw modern snacks. I caught a bag of milk caramel Caramel Corn, which is not popcorn at all but sweet corn puffs, distant cousin to Flamin&apos; Hot Cheetos. 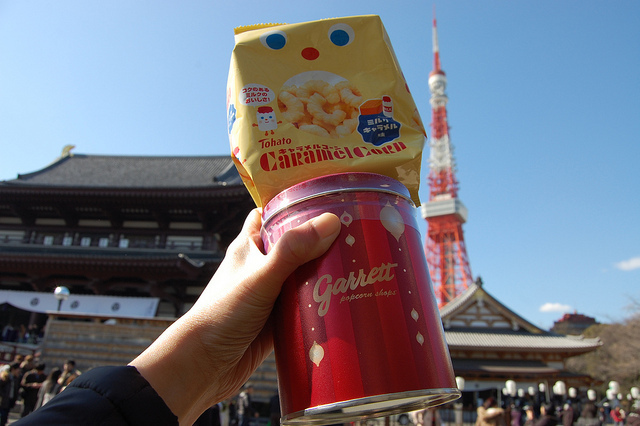 I happened to have a tin of Garrett Chicago Mix on me. I brought a case to Japan as omiyage, an edible gift from our city. 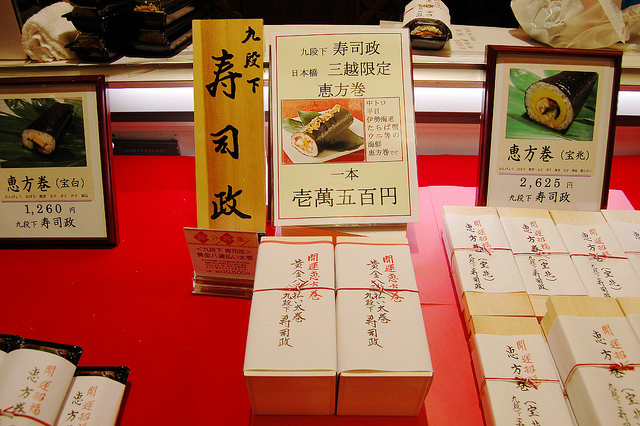 At Mitsukoshi&apos;s depachika (department store basement food hall) they sold Setsubun&apos;s other essential lucky food: eho-maki (lucky direction roll). Traditionally one faces the year&apos;s lucky direction, this year it&apos;s south-southeast, then eats the entire roll without speaking. There is no way anyone could have eaten the biggest roll of the year traditionally. The most expensive eho-maki rung in at 10,500 yen, $115 today. 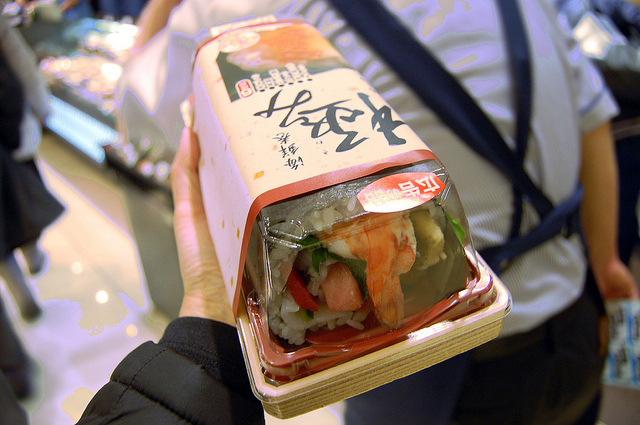 Filled with luxury seafood ingredients, the lucky roll was packaged in its own wooden box. 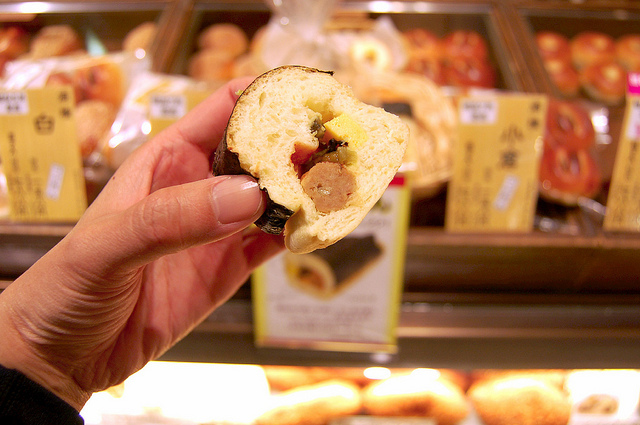 But even in Japan, not everyone likes rice, so there are even eho-maki made with bread. I didn&apos;t eat a lucky roll last year. I caught plenty at the temple. And the fact that I even took that trip, I figured was lucky enough.